Peter Quill, we've found your father. If you've been paying attention to Guardians of the Galaxy Vol. 2 news, then you already know that a large part of the franchise's second installment will center around Peter Quill's origin story. Specifically, his parents. And you already know that, contrary to how it goes down in Marvel comics, Peter's father will not be J'Son of Spartax — the alien who had a brief rendezvous with Peter's terminally-ill mother, Meredith Quill. At the film's Comic-Con panel last weekend, director James Gunn shared that instead of J'Son of Spartax, Peter's father will be Ego: The Living Planet. But who is Ego: The Living Planet and how does he fit into the Marvel Cinematic Universe? Ego is exactly what and how he sounds, a sentient planet who thinks, feels, and even makes expressions just as a human can. 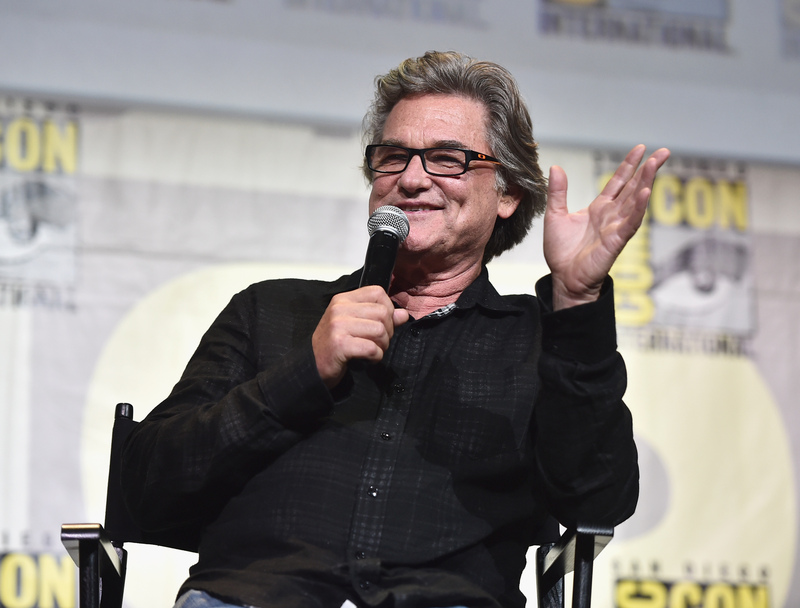 He'll be played by none other than Kurt Russell, and, according to The Wrap, in an exclusive clip aired during Comic-Con, it was explained that Ego can create human avatars. Which means that Kurt Russell will probably be more Kurt Russell in human form than Kurt Russel in planet form (though the latter does sound pretty interesting) for the film. That's not to say that Gunn won't show us what Ego looks like as his planetary self. The giant floating head Knowhere did make his debut in Vol. 1. Regardless of how Gunn chooses to introduce the planet, here's everything you need to understand about Ego and his place in the Marvel canon. Ego's from "The Black Galaxy" — an area of space that's relatively close to Earth. He's able to travel through space in any way he pleases (no orbit necessary) and has no qualms about consuming smaller planets, things, and/or any Marvel character with cosmic abilities that should get in his path. That's probably why, over the course of his existence, he's encountered Thor, The Fantastic Four, The Hulk, and Quasar to name a few. Actually, in the Marvel comic anthology, Ego originally appears in Thor: 132. When Thor first meets him, Ego's on a quest to conquer the universe. Thor sees that as (obviously) bad, ends up defeating Ego, and then, in a twist of fate, the two later join forces against Galactus — a cosmic deity that wants to feed on Ego in order to get stronger. When it comes to Guardians of the Galaxy Vol. 2, Gunn hasn’t revealed Ego's motives thus far, or even whether or not he's a villain or just a harmless, self-obsessed planet (he sort of oscillates between the two in the comic space). But Gunn has revealed that the identity of Peter's father won't be that big of a deal — or at least, he doesn't want it to become one. In a video posted to his Facebook, Gunn explains that there will be deeper things going on in the film. Things that extend far beyond who Peter's father is, and that he didn't want his fans to get too wrapped up in the mystery. Which is why he chose to reveal this piece of information now. Ego: The Living Planet will make his MCU debut when Guardians of the Galaxy Vol. 2 hits theaters May 2017.